The Peace Corps brand is more than a logo. Explore our logo policy, where to go to download photos, and sign up for upcoming public service announcement print and web-ready files. Our logo has been designed to focus on the core elements of our seal that best represent our mission and vision. The logo was designed using the official Peace Corps font, Gotham, and features specific proportions of type height in relation to the visual mark. 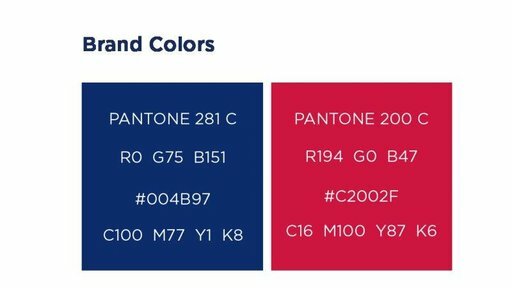 The official brand colors are Pantone 281 C and Pantone 200 C.
The Peace Corps name and logo may be used only to designate programs authorized under the Peace Corps Act. The Peace Corps logo may not be altered or manipulated in any manner. The Peace Corps name and logo may not be used by third parties for commercial or fundraising purposes, or for endorsement or promotion of such third parties or their respective goods or services. You may not create any identity that incorporates the Peace Corps logo in any way. 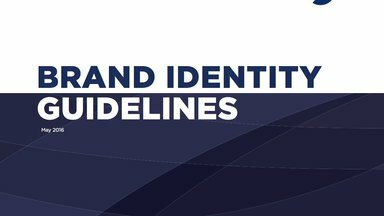 Educational institutions within the Paul D. Coverdell Fellows programs should refer to guidance provided by their Coverdell Fellows points of contact. For more information about the Peace Corps name and logo for press and educational purposes, please send a detailed email to [email protected]. Peace Corps photos are available for download from the Media Library. All photos are property of the Peace Corps, but may be used royalty free. The Peace Corps must be listed as the source for any photographs. Be the first to know about new PSAs. Sign up at [email protected].